We have problem in the new racks placed in the gutter weeks ago. 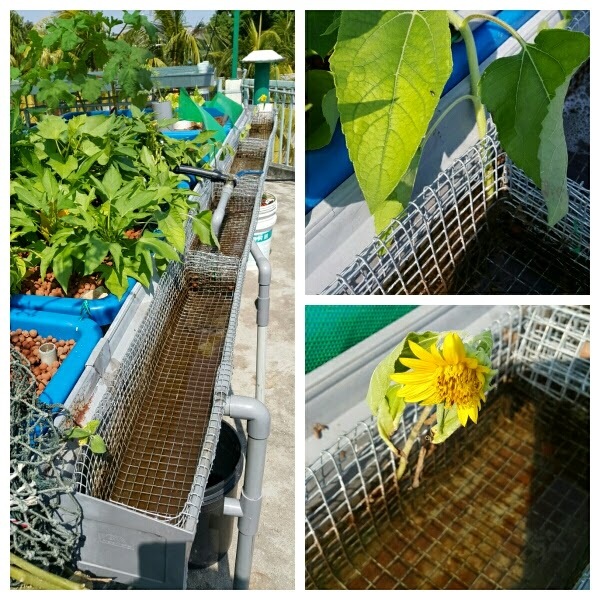 Now, we clean up all the leca and this is our temporary setup for the Sunflowers... Yes.. No media with flood and drain.